Frasers Logistics and Industrial Trust has been the hot topic recently. Frasers Logistics and Industrial Trust is an industrial REIT focused on prime properties concentrated in major industrial markets in Australia. IPO in 2016, the REIT has been generating an accretive yield for dividend investors. I considered the manager of the REIT to be aggressive as less than 2 years from its listing date (“20 June 2016”), the manager announced the acquisition of another 21 prime properties in Germany and the Netherlands on 20th April 2018. The acquisition was funded through a private placement which raised S$329 million. 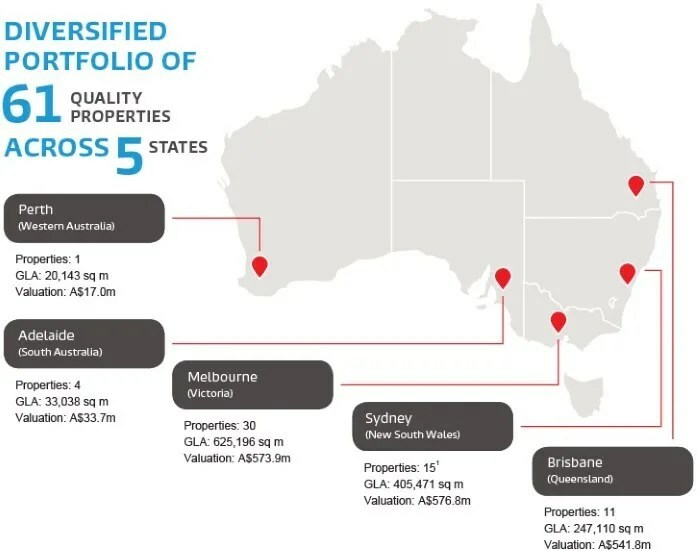 As at 31 December 2017, Frasers Logistics and Industrial Trust’s portfolio comprises of 61 Australian industrial and logistics real estate assets concentrated within major industrial markets in Australia, which include Sydney, Melbourne and Brisbane. Frasers Logistics and Industrial Trust’s Australian portfolio is valued at A$1.9 billion as at 30 September 2017. 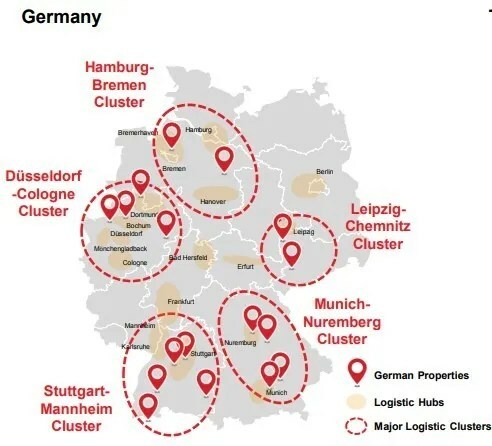 As mentioned above, Frasers Logistics and Industrial Trust acquired another 21 prime properties in Germany and Netherlands. Germany and the Netherlands sit at the crossroads of key global trade routes. With the acquisition, this allows a diversified portfolio with properties in Australia, Germany and Netherlands. The occupancy for the Australia assets stood at 99.4%. The occupancy for Germany and Netherlands assets as of 31 December 2017 was 100%. I like the long WALE (“Weighted Average Lease Expiry”) for both its Australian (6.75 years), Germany and Netherlands assets (8 years) which provides some form of income stability. Financials was decent. As a dividend investor, I like the REIT when it is able to grow its DPU year on year. One thing to note though is that Australia dollar has weakened against Singapore dollar (A$1:S$1.01) which can impact the DPU that is paid out in Singapore dollar. It is also important to know that Frasers Logistics and Industrial Trust’s distribution policy was to distribute 100% of Frasers Logistics and Industrial Trust’s distributable income for the period from 20 June 2016 (the “Listing Date”) to 30 September 2017. From FY2018, Frasers Logistics and Industrial Trust’s will distribute at least 90.0% of its distributable income. The gearing before the acquisition of the Germany and Netherlands assets was 30.9%. After the acquisition, the gearing increased to 36.8%. Frasers Logistics and Industrial Asset Management Pte. Ltd is the manager for Frasers Logistics and Industrial Trust. The sponsor is Frasers Property Limited. The manager for Frasers Commercial Trust has been able to increase the DPU year on year. Frasers have built a good reputation with excellent track record. This gives investors some form of confidence in the manager for Frasers Logistics and Industrial Trust. The share price of Frasers Logistics and Industrial Trust was trading at S$1.11 but dropped to S$1.04 when the REIT XD on 16th May 2018. Based on a total of 7.01 cents paid out in FY17, if we enter into a postition at S$1.11, the dividend yield will be 6.32%. If we purchase the REIT after XD at $1.04, the dividend yield will be 6.74%. I am expecting DPU to grow as in FY17, the manager has yet to acquire the Germany and Netherlands assets. This will give the DPU a boost in FY18 and beyond. The below pro forma financial effects is illustrated in the acquisition proposal based on DPU for Q1FY2018. At current market conditions, it is difficult to spot a REIT which is performing well and paying at least a dividend yield of 6.74%. Unfortunately at the point of writing this blog post, Frasers Logistics and Industrial Trust has already XD which means we will miss the 2Q2018 payout. 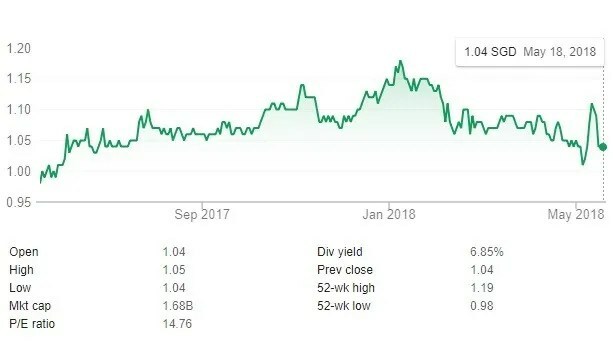 Although we may have missed this round of dividend payout, I believe the REIT will perform well as a long term play if we enter a position at S$1.04. Hi Philip Hong, the gearing is still at a manageable level as it is below 40%. Most gearing for REITs are around 36%. Gearing is always one of the things I keep a lookout for. I learnt my lesson with Soilbuild REIT. Thanks for the article. I would like to point out that the acquisition was also funded by a 1 to 10 preferential offering which went XO at the same time as the recent dividend. Also, the private placement and preferential offering units have yet to be listed on the exchange. As such, you might want to hold off on buying any units till after these 2 events occur. Hi KK, thanks for sharing. When will the preferential offering units be listed? Could you explain why we should wait till after the private placement and preferential offering?